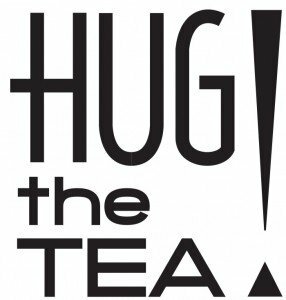 This is a blend of HUG THE TEA: Japanese Houjicha roasted green tea with South-African Rooibos. 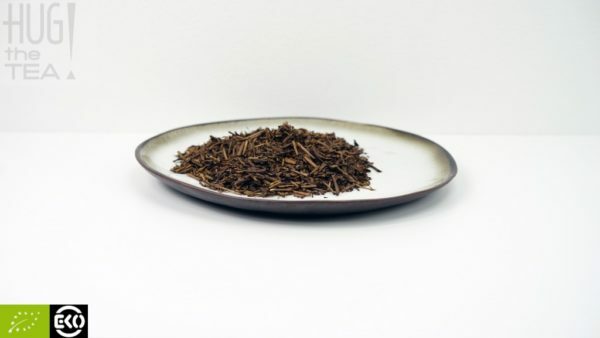 Houjicha is a Japanese roasted green tea; the tea leaves and stems get roasted in a heated porcelain pot, altering the leaf color tints from green to reddish-brown. This is a blend of HUG THE TEA: Japanese roasted green tea Houjicha with South-African Rooibos. Houjicha is a Japanese roasted green tea. It distinctives itself from other Japanese green teas, because after the steaming process the tea leaves and stems get roasted in a heated porcelain pot, altering the leaf color tints from green to reddish-brown. Because of its mildness and small amount of caffeine, Houjicha is a popular tea to serve during the evening meal or afterwards. 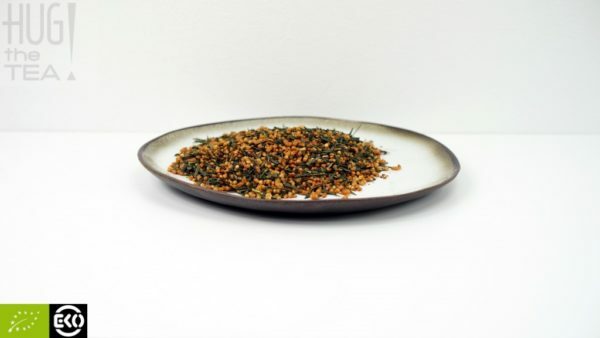 The tasting notes of this roasted tea are nutty, malty and mild with a nice aroma of Rooibos! A real RELAX TEA!